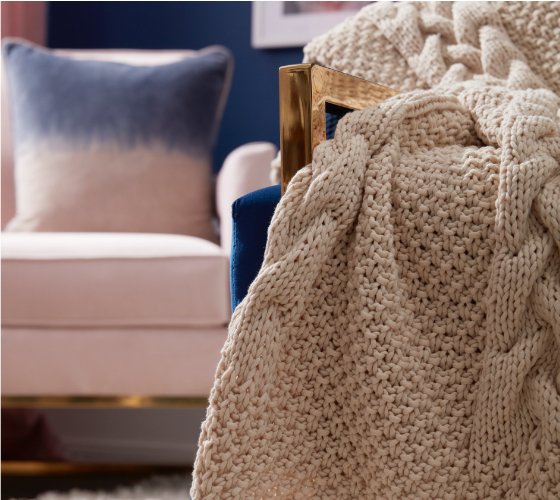 We’re taking you with us into our daydreams full of plush yarn and soft colors. 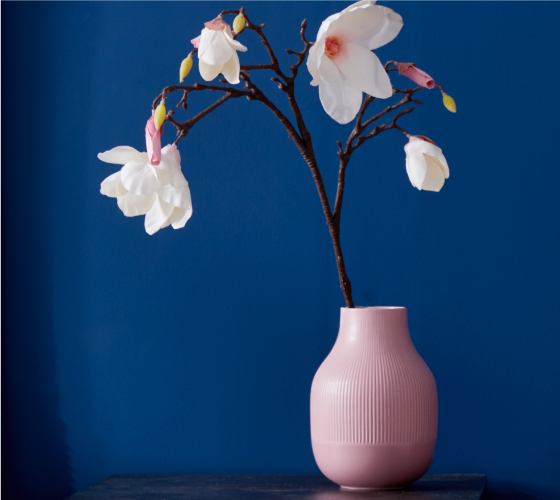 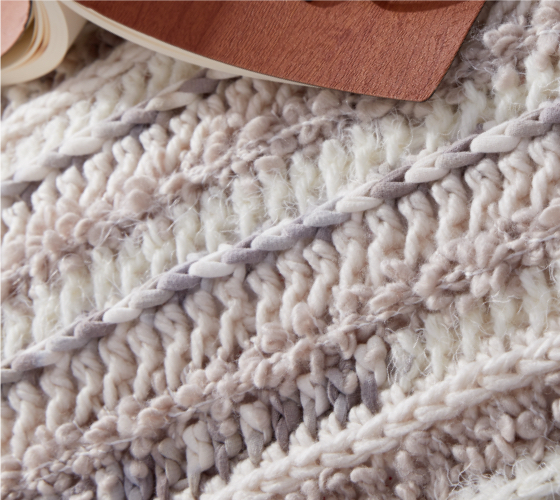 These 13 free patterns will transport you into an oasis full of sweet dreams and lush living. 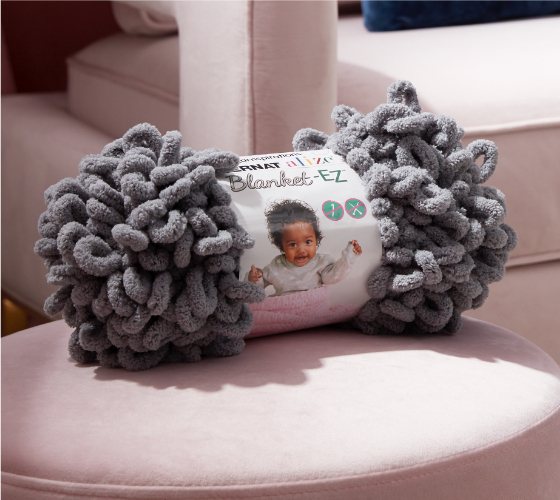 Worked corner to corner, this pillow is made with Bernat Alize Blanket-EZ and Bernat Blanket to create a dense loopy texture. 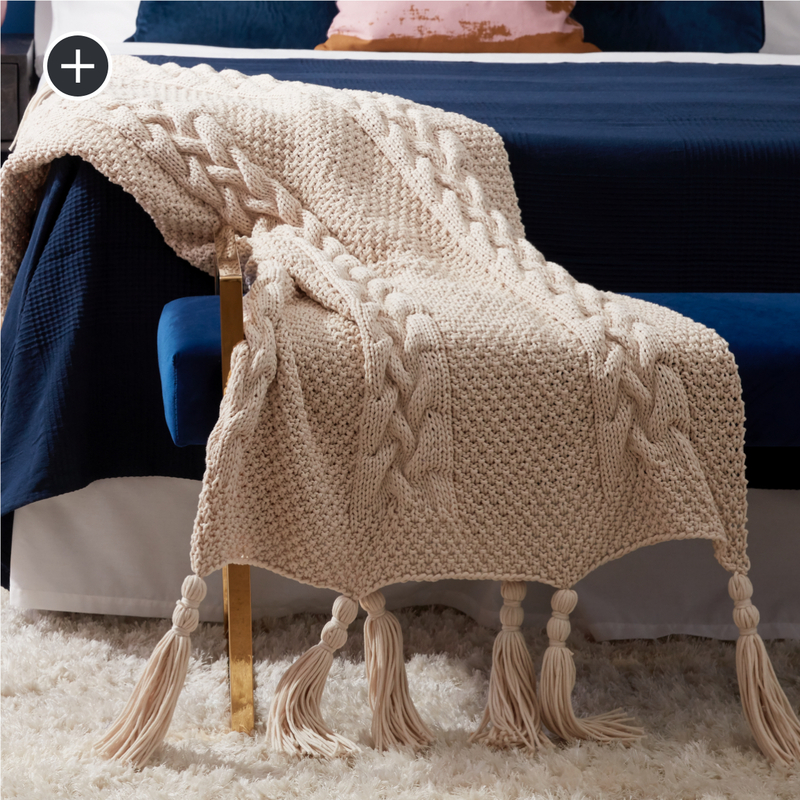 Knit in a single rectangular piece and cinched at either end with on-trend tassels, this bolster works up quickly in Bernat Blanket Extra. 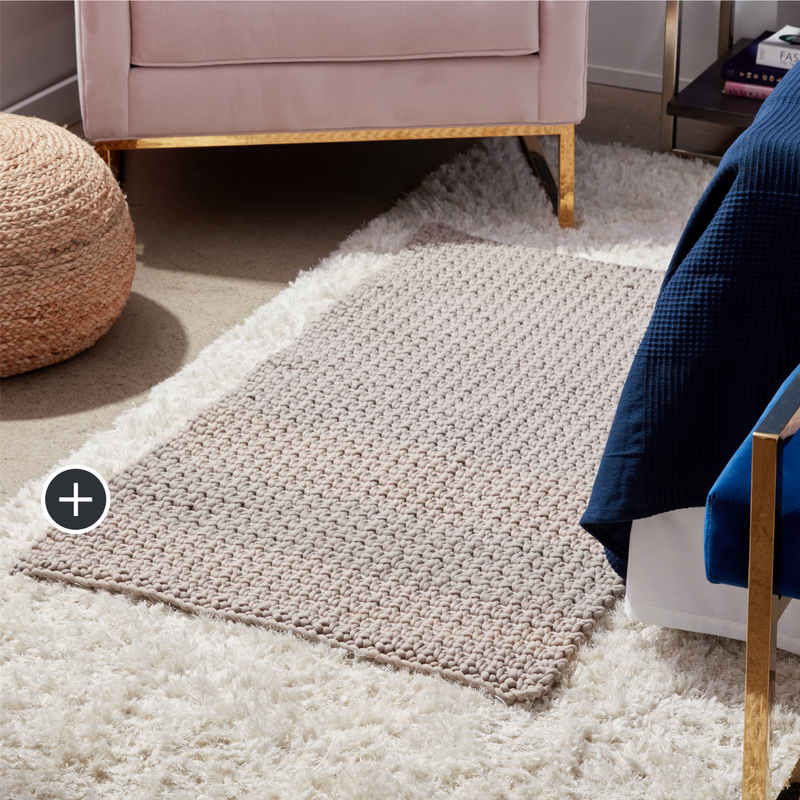 Creating a luxe space is easy when you start from the center and work your way out! 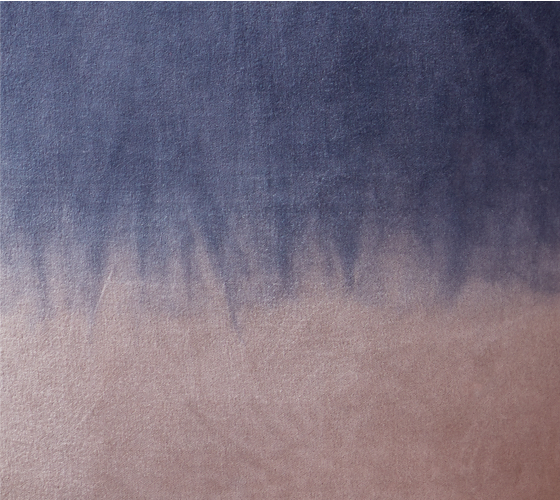 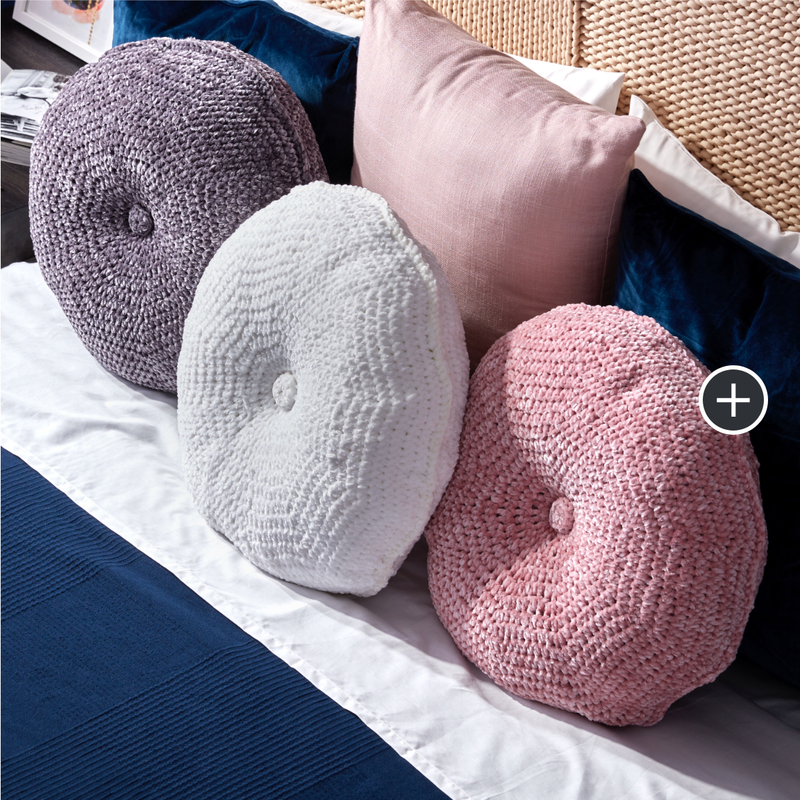 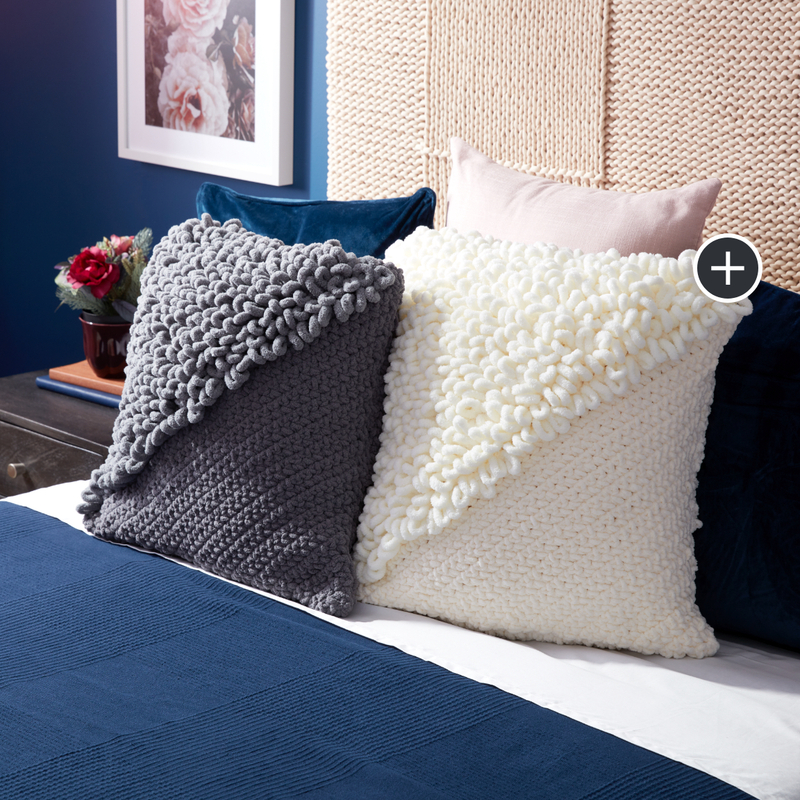 These round pillows made from Bernat Velvet will have you dreaming of your next project. 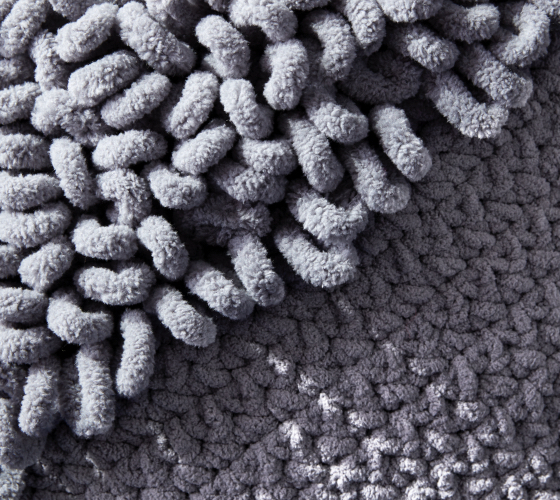 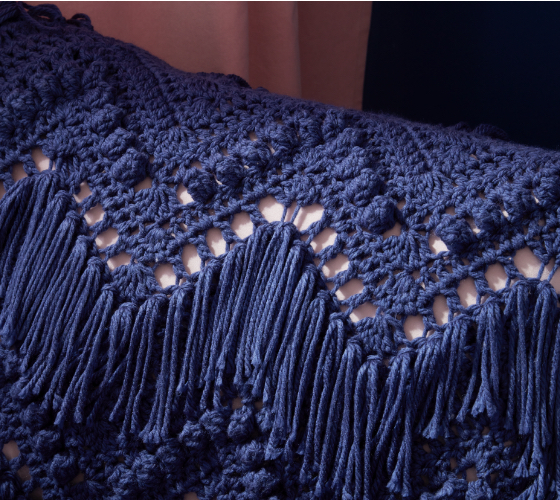 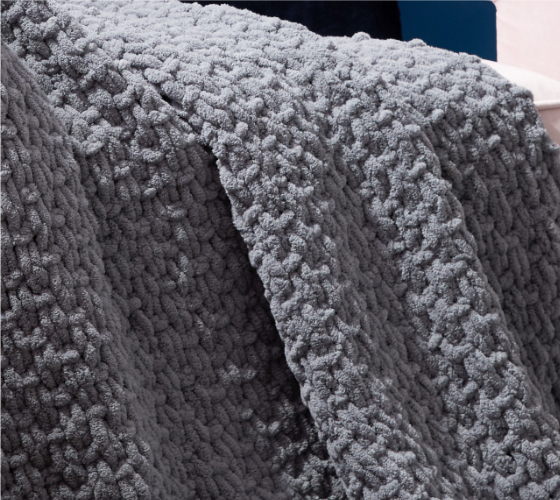 Texture abounds in this easy to crochet blanket. 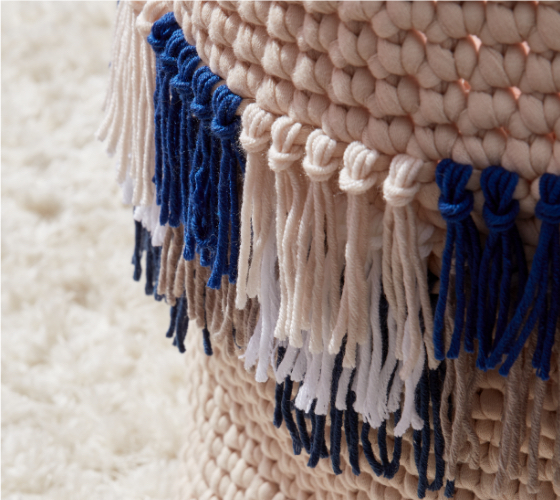 Stitched-up with Bernat Softee Chunky, eyelets, bobbles and fringe add new dimension to a favorite zig-zag pattern. 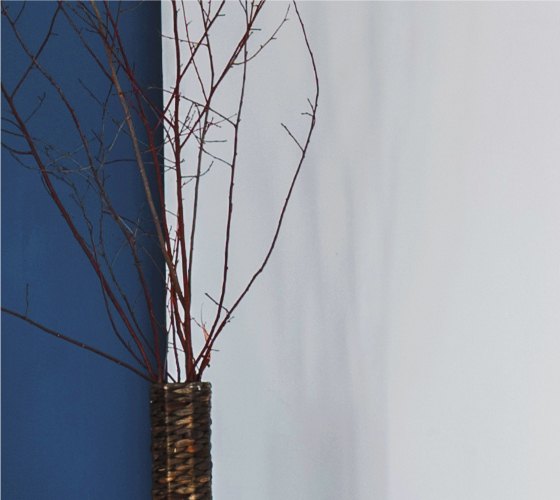 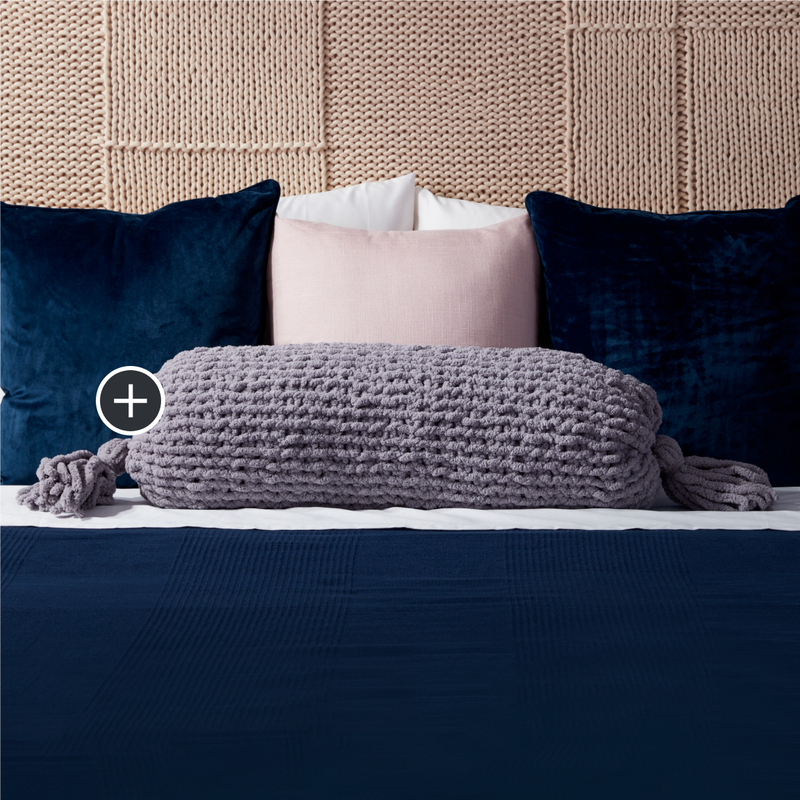 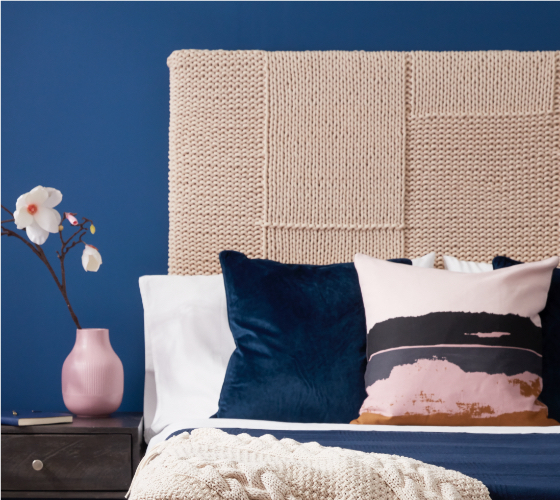 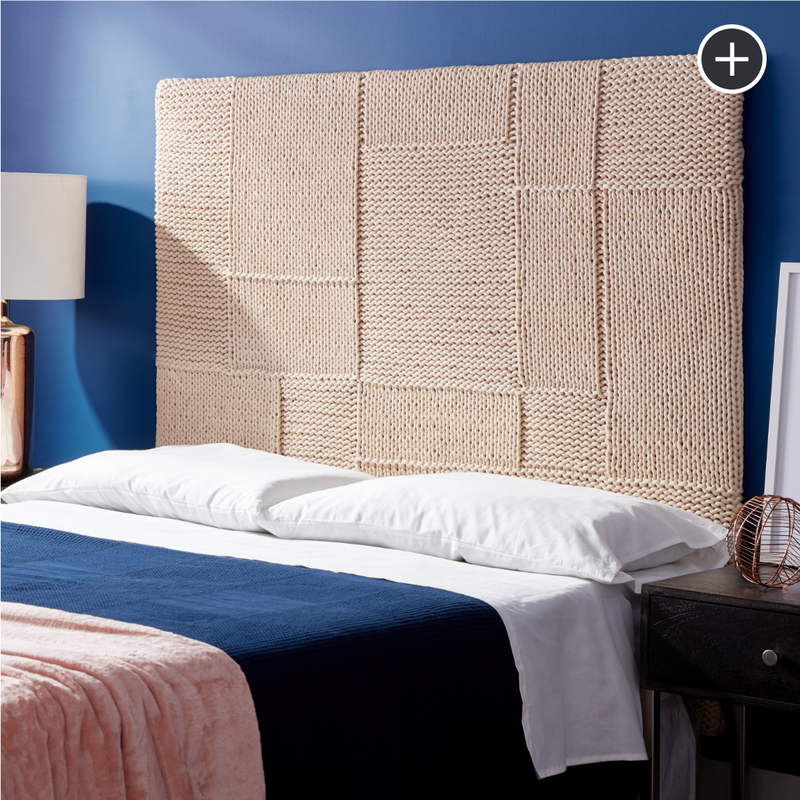 Make a statement with this modern texture-blocked headboard. 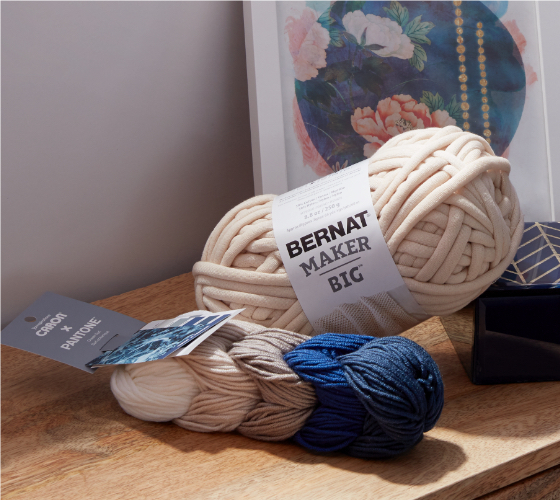 Bernat Maker Big's gutsy gauge gives simple knit and purl stitches drama. 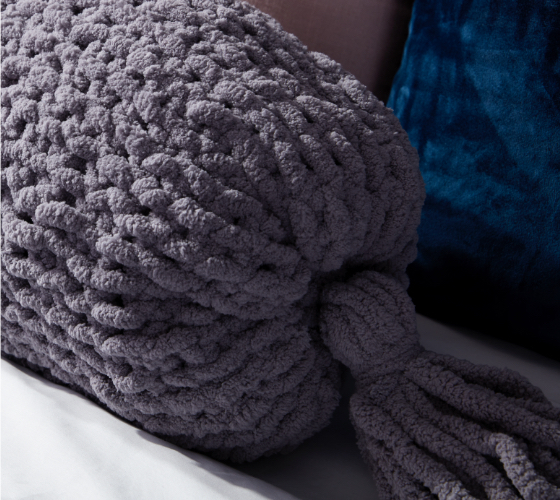 It’s impossible not to feel extra cuddly curled up in this project! 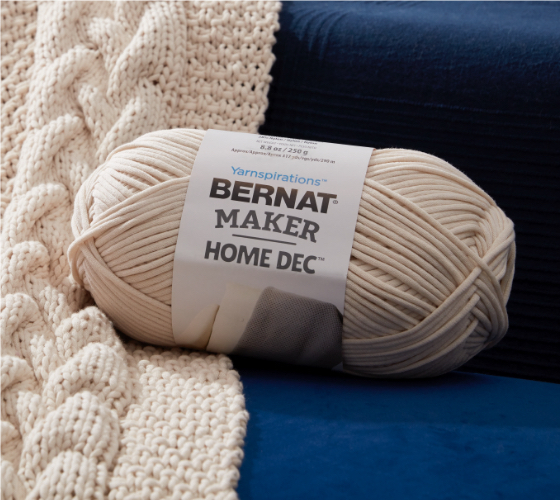 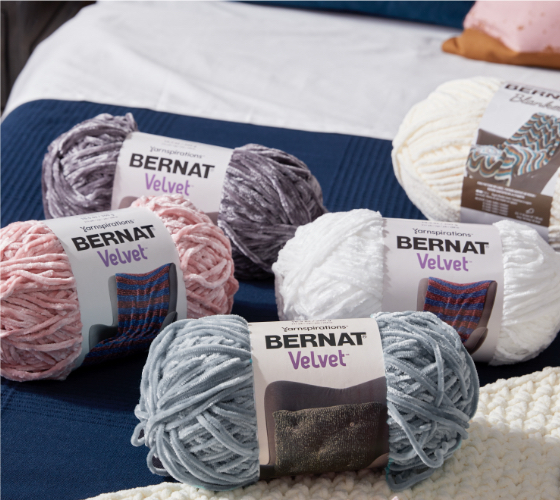 A simple one-piece Bernat blanket comes to life with some loopy Bernat Velvet crocheted dots. 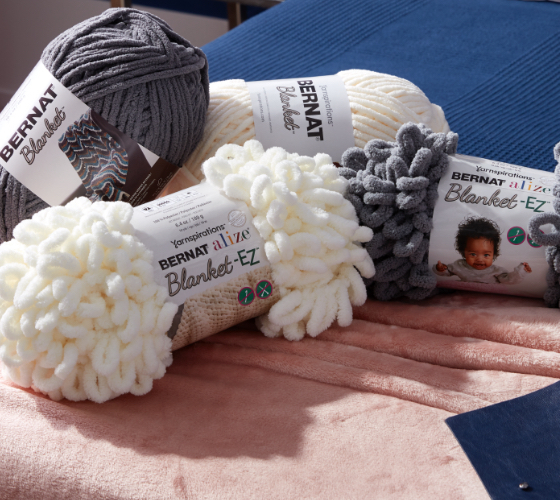 This seed stitch blanket works up fast and easy with no needles or hook and Bernat Alize Blanket-EZ! 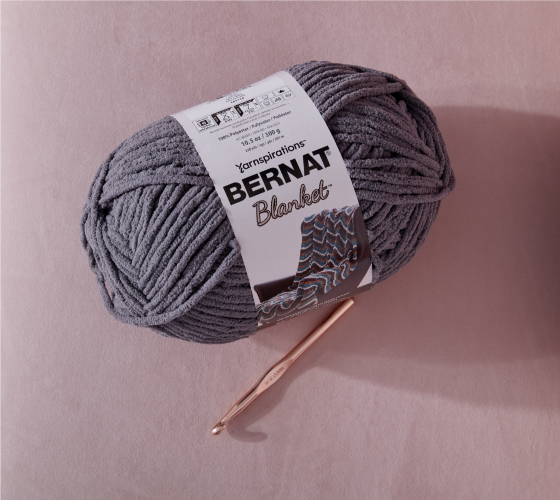 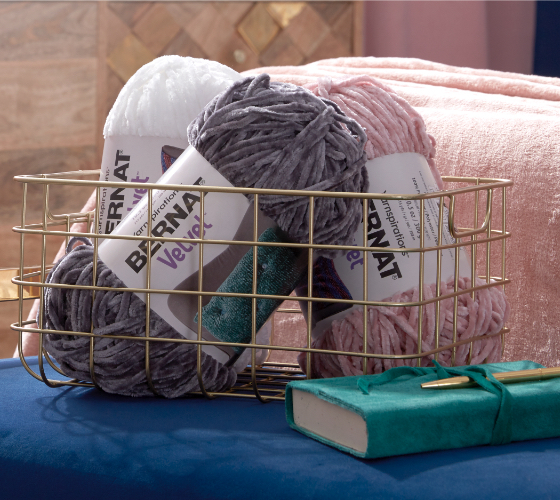 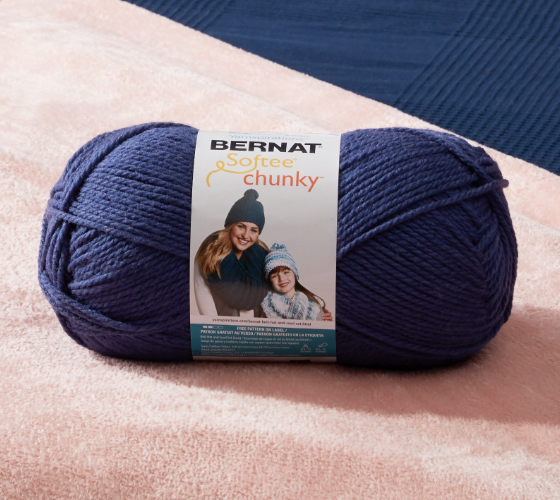 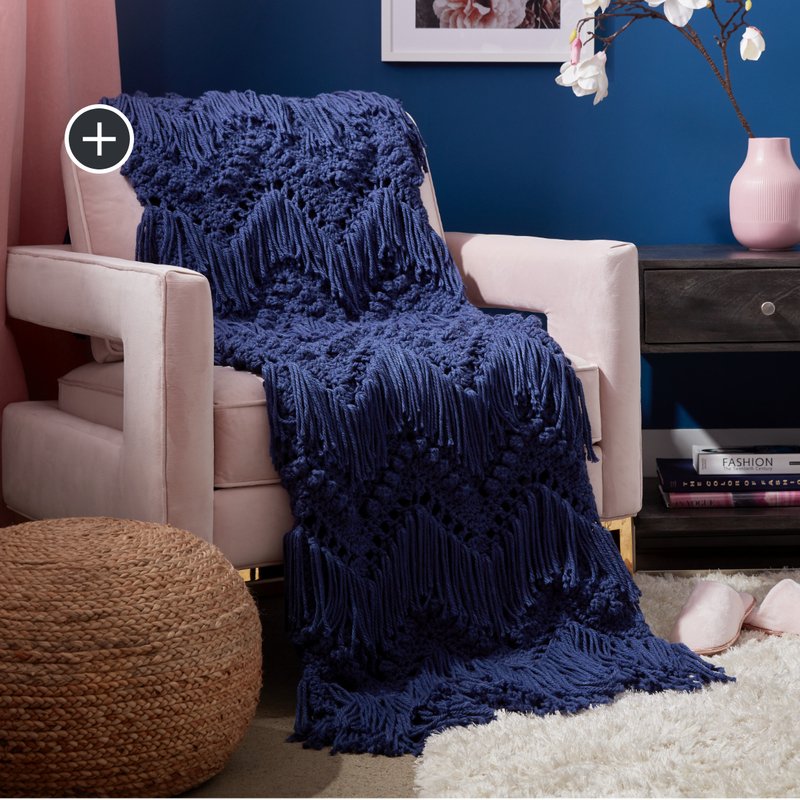 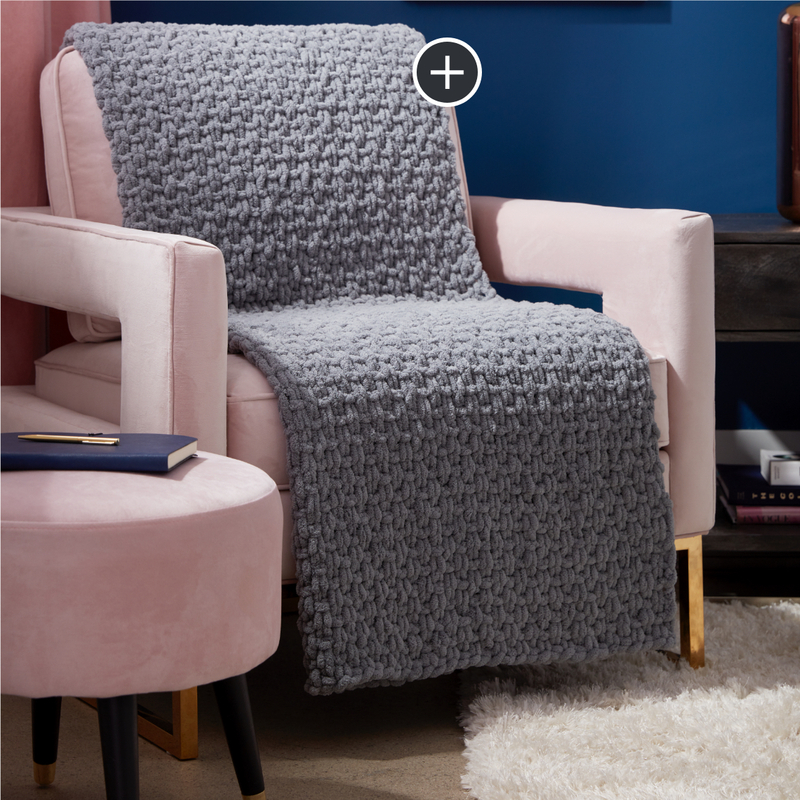 Made from Bernat Maker Home Dec yarn, this knit blanket features mock cable panels using a clever tuck stitch surrounded by classic Irish moss stitch. 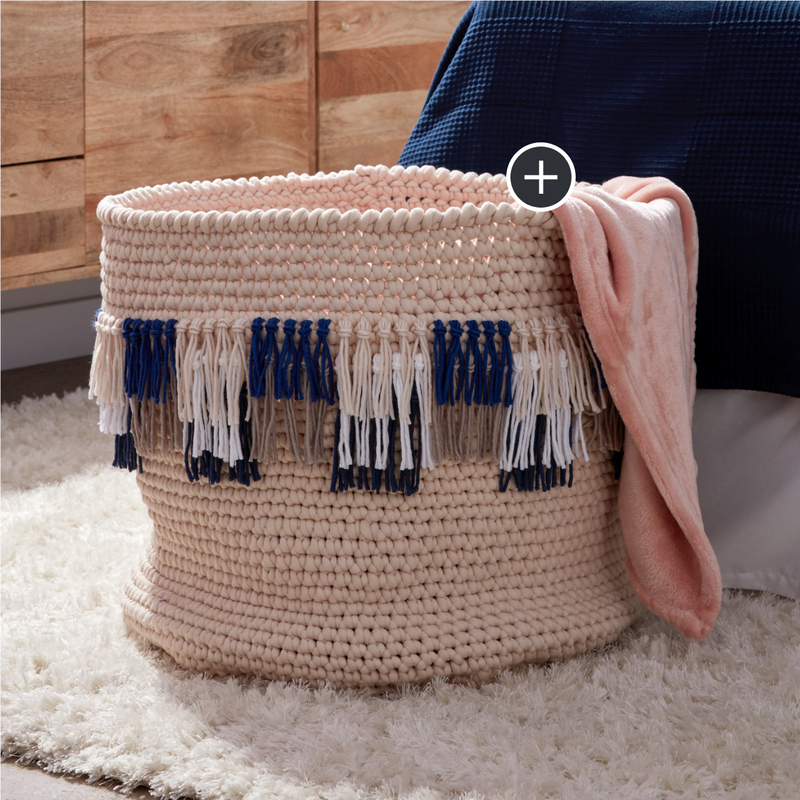 This generously sized basket, crocheted with Bernat Maker Big, is a perfect storage solution for all your cozy blankets! 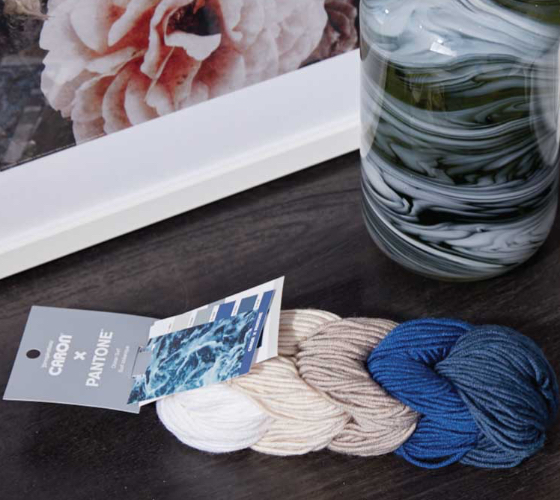 Caron x Pantone fringe makes it easy to customize. 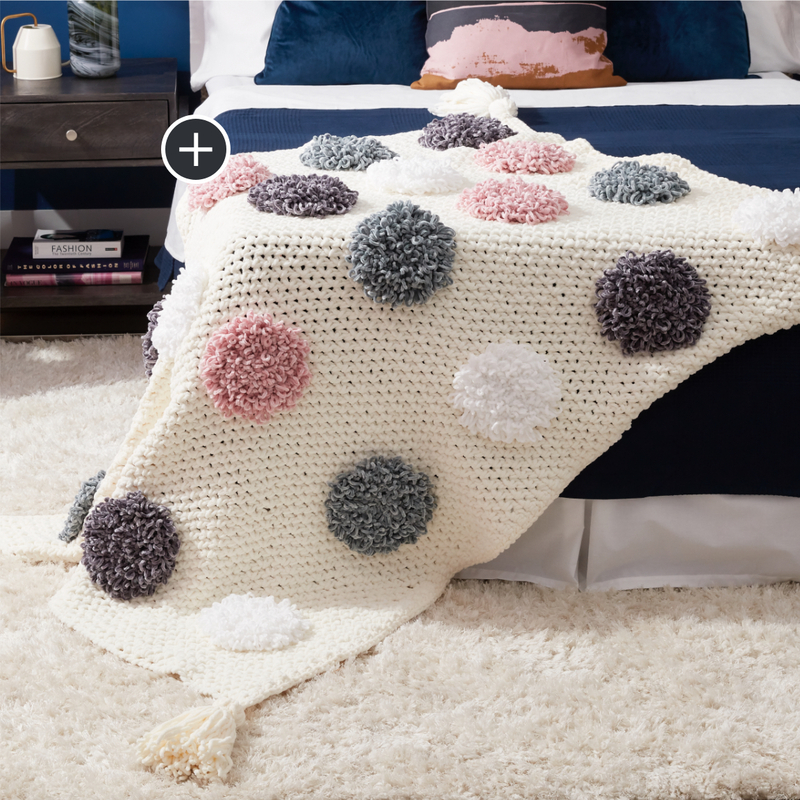 Worked in simple single crochet and chain 1 using Bernat Maker Big, this cushy rug makes getting out of bed in the morning a little easier. 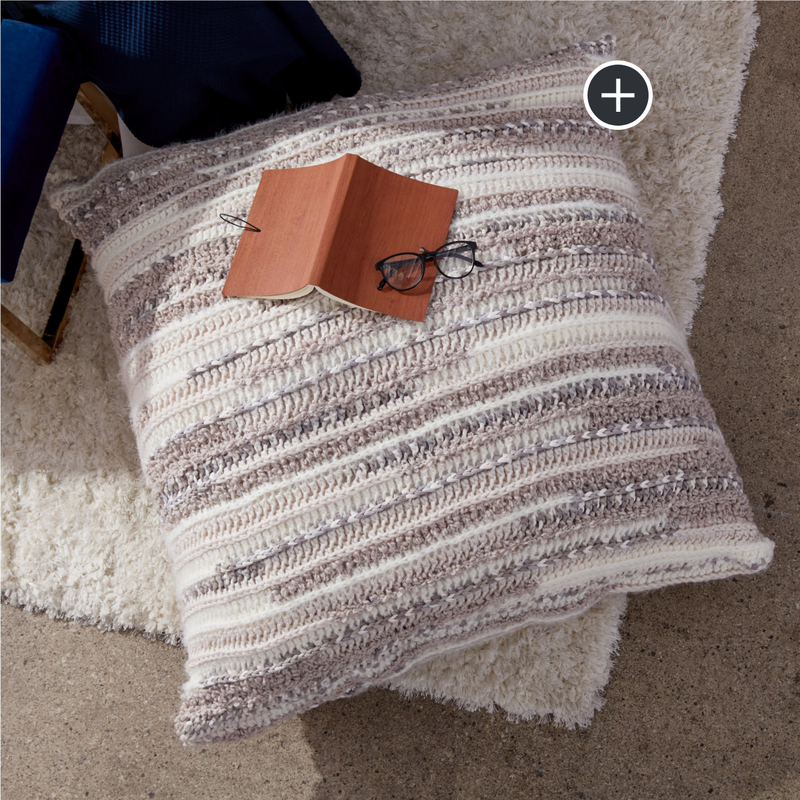 Snuggle up with a good book and your new favorite floor pillow! 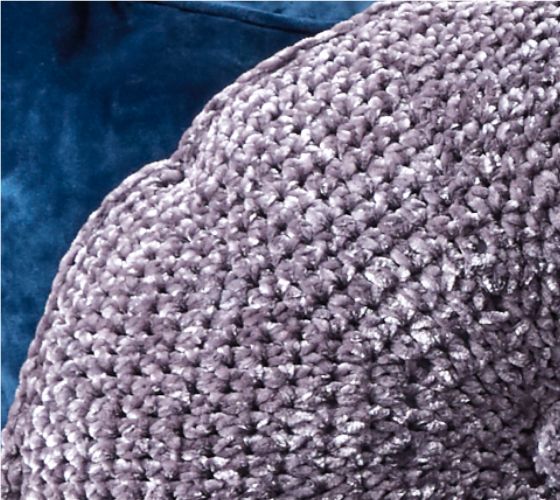 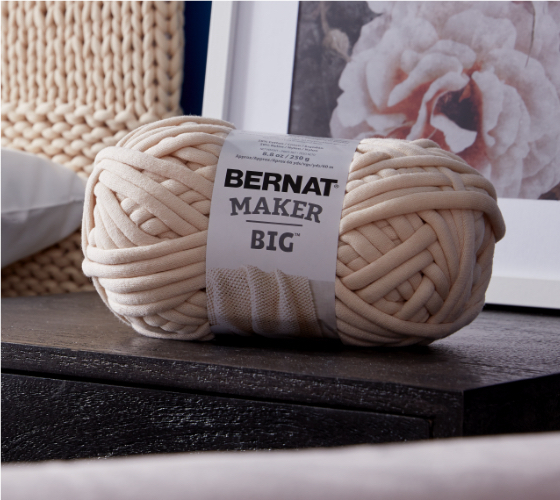 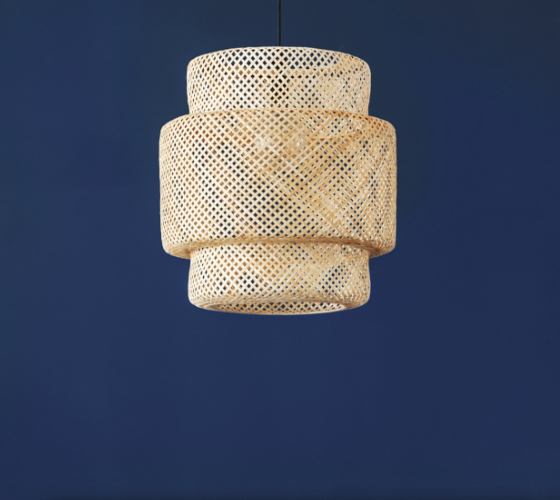 Half-double crochet in the third loop, which showcases the textures of Bernat Mix Home. 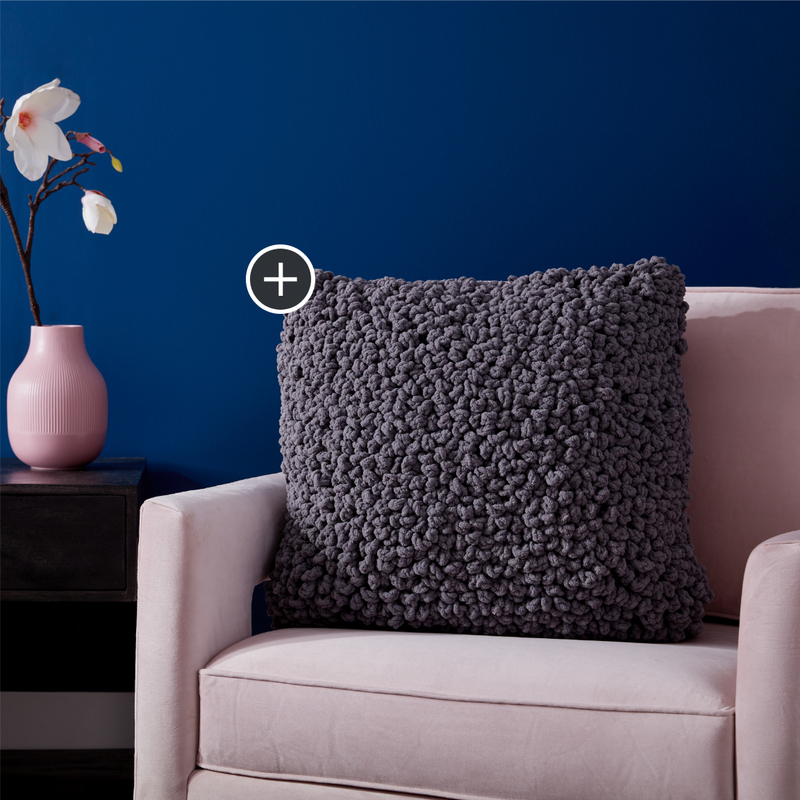 Worked in one piece in the round using Bernat Blanket yarn, this fabulously textured pillow is a bold yet inviting accent to your room. 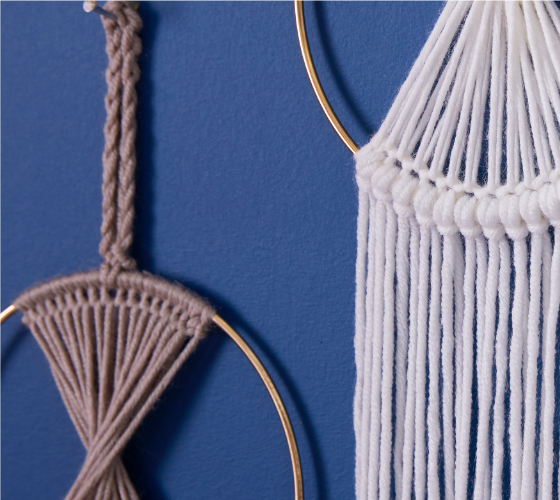 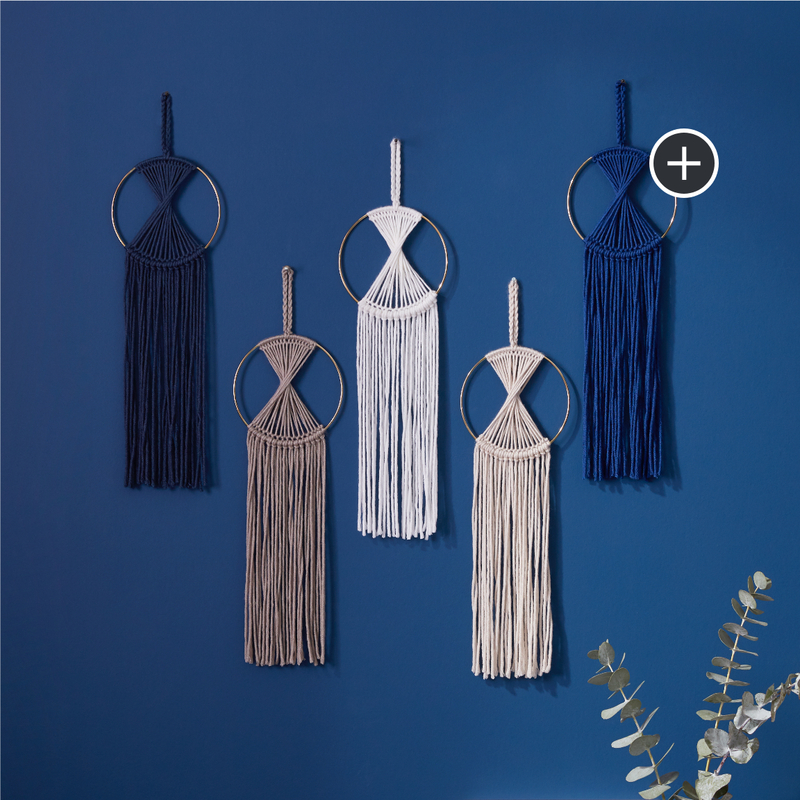 Made from a single braid of Caron x Pantone yarn, these crochet wall hangings will elevate a blank wall from boring to bold. 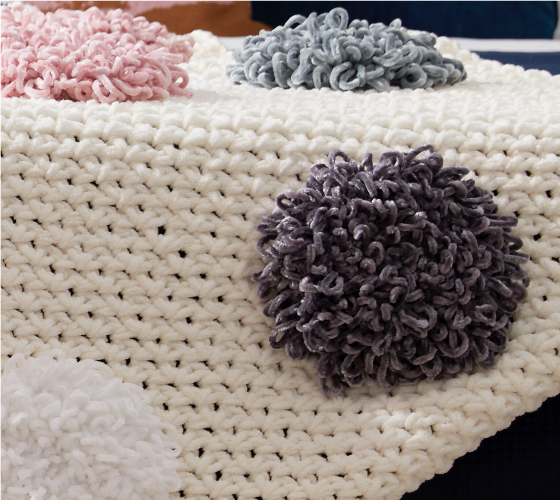 Update your space with these 13 free crochet and knit patterns.